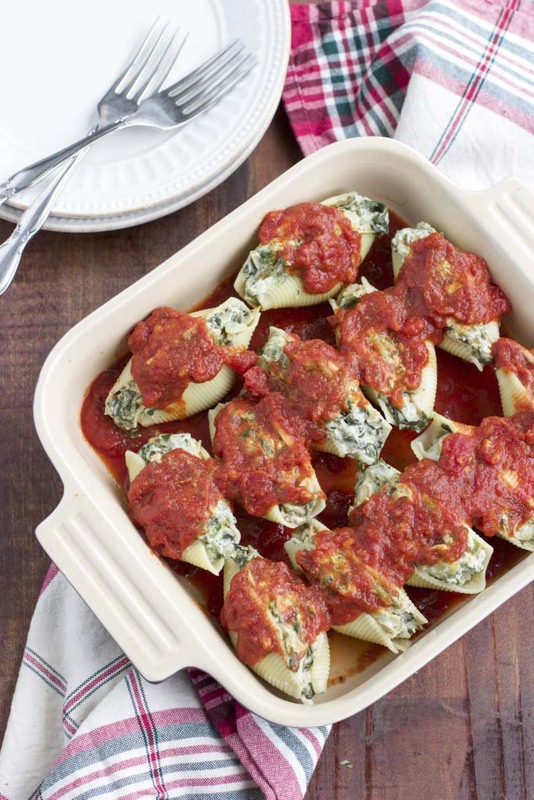 These vegan stuffed shells are filled with our favorite super creamy dairy-free spinach artichoke dip. It’s easy to make and definitely a crowd pleaser! Vegan. *This recipe was originally posted on 8/16/16 but I updated it with better instructions on 3/19/19. Last week, my husband informed me that vegan stuffed shells florentine is one of his favorite meals and that he would loveee to have it for dinner one night this week. He doesn’t usually make food requests so I was super happy to hear him ask for something with spinach in it! 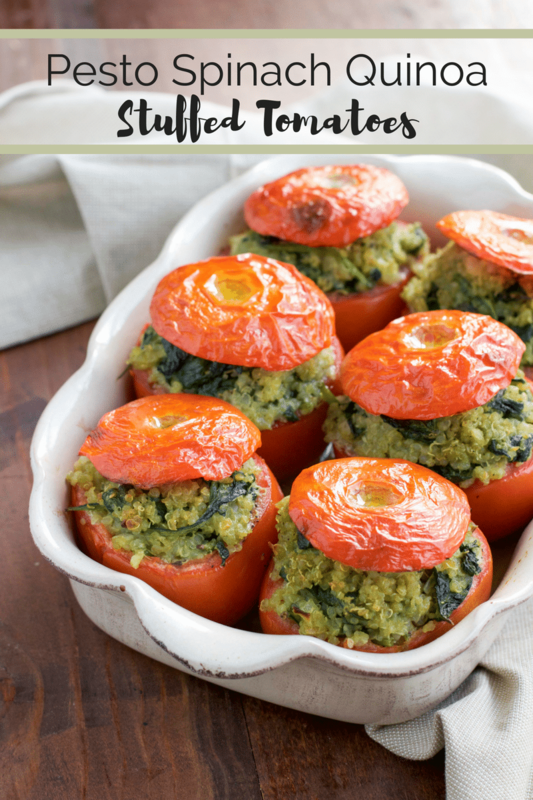 These healthy stuffed tomatoes are filled to the brim with a flavorful mixture of pesto quinoa and fresh spinach. Your whole family will love this simple recipe! Vegan and gluten-free. *This recipe was originally posted on August 12, 2016, but I updated the recipe and republished it on February 16, 2019. Tomatoes are one of my favorite summer produce picks. I swear they taste sweeter and juicier during the warmer summer months! My dad eats them like apples. I haven’t tried that yet but I do try to work them into many of our meals. When I was at Sam’s Club last week shopping with my mom, I saw the most beautiful fresh beefsteak tomatoes and just had to buy them! They were so ripe, juicy, and the perfect shape for making healthy stuffed tomatoes! Stuffed tomatoes are very similar to stuffed peppers (which we love), except I think stuffed tomatoes have a sweeter flavor and a more delicate consistency that we really enjoy. You might also enjoy this zesty taco stuffed tomato recipe too! The tomatoes are the perfect vessel for this dish, and roasting makes them super sweet and tender. I like to cook them just until the skin just starts to blister. They taste delicious and it’s a beautiful presentation. Italian stuffed tomatoes are a very simple dish to prepare and they’re loaded with healthy ingredients that the whole family will love. I hope you enjoy this recipe as much as we do! This is the creamiest, most satisfying vegan lasagna you’ll ever taste! The filling is an ultra-rich cashew-based spinach artichoke dip that’s loaded with veggies and tucked in between layers of noodles. It’s vegan comfort food that will please the whole family. Plus, it’s naturally vegan, soy-free, and has a gluten-free option! I’m finallyyy getting back to my regular routine. We got back from our Halloween on the High Seas Disney cruise a few weeks ago and it took me longer than I expected to edit all of our daily cruise vlogs for Youtube. I wanted to get those videos done first and out of the way so I could jump back into sharing more vegan recipes with you! Watch our Halloween on the High Seas Disney cruise vacation videos here! I have a bunch of recipes to share that I’ve been working on over the last few weeks but I thought this vegan lasagna would be the perfect recipe to share first! When I finally got out of the Disney cruise withdrawal phase (yes, it’s totally a real thing!) and started cooking again, this delicious vegan lasagna is the first meal that I made! This spicy Italian sausage and peppers recipe has quickly become a staple in our house. Each bite is loaded with so much flavor that you won’t believe it’s ready in only 30 minutes. Vegan, dairy-free, soy-free, nut-free. I’ve been having trouble writing this week. I sit down to write but nothing about the Italian sausage and peppers recipe comes out. Is writer’s block a symptom of grief? The only words that come to my mind are about my aunty. I know that you’re here for a delicious vegan recipe not a depressing post about death and how it impacts people but this is my real life so it’s hard to turn it off. The thing that gets me is that I want to share the recipe and I know my aunty would want me to write and share the recipe, but it’s taking me days to write this post. It’s so frustrating! I just miss my aunty and it doesn’t help that yesterday marked one month since she passed away. How has it been one month already? On one hand, it feels like it happened yesterday, but on the other hand, it feels like we’ve been dealing with the grief for years. None of if makes any sense! If you’re interested, last week, I shared the recipe for my favorite vegan spanakopita that I dedicated to my aunty. It’s delicious and I know she would have loved it so I hope you’ll give it a try too. Ugh, dealing with grief is hard. Really hard. However, I’m going to keep plugging away and get this Italian sausage and peppers recipe posted because I know that’s what aunty would want me to do.